Photo: Ferguson House, ca. 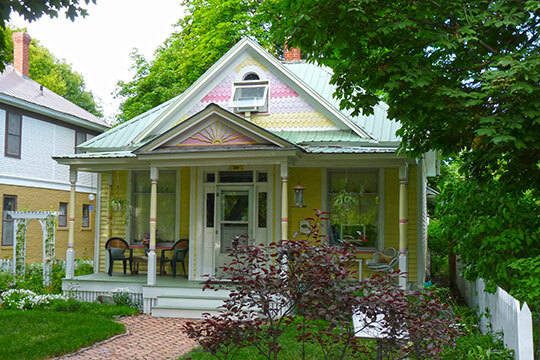 1897, 320 Fourth Avenue West, Kalispell, MT. Listed on the National Register of Historic Places in 1994. Photograph by User:Jeff the quiet, 2011, via Wikimedia Commons (creativecommons.org/publicdomain/zero/1.0/deed.en), accessed June, 2015. Flathead County administrative offices are located at 800 South Main Street, Kalispell, MT 59901; phone: 406-758-5503.